Government spending will keep the Middle East’s economic recovery on track in 2010. The Middle East rode out the global recession better than the major industrialized economies, and the region is well positioned to benefit from the global recovery. The oil-exporting nations of the Gulf drew on their ample reserves in 2009 to support expansionary fiscal policies. The oil importers—Egypt, Jordan, Lebanon and Syria—which are less integrated with global markets, escaped the brunt of the downturn. They also enjoyed spillover effects from the economic growth of their neighbors. Oil prices and production levels remain critical to the Middle East’s economy, despite increasing efforts to diversify. Oil was trading above $80 a barrel last month, well above budgeted levels but down from a peak of $147 during July 2008. Government spending will continue to increase, even if oil prices decline, with sovereign wealth funds available to finance potential fiscal deficits, says Moody’s Investors Service. The ratings agency expects the region’s sovereign ratings to remain relatively steady in 2010, as a sluggish global recovery gains momentum and investor confidence rebuilds. After stagnating at less than 1% growth in 2009, real GDP (gross domestic product) growth in the six nations of the Gulf Cooperation Council (GCC) is expected to rebound to 5% in 2010, according to economists at Riyadh-based Samba Financial Group. Total GCC budget spending is likely to increase by 14% this year to a record $354 billion, they predict. Saudi Arabia’s exceptionally large planned budgetary spending is expected to result in a second straight year of fiscal deficits. The kingdom is halfway through a four-year, $400 billion spending program. The GCC’s $1 trillion economy is on a par with that of India, and it will double to $2 trillion by 2020, says Kamal Ahmed, chief operating officer of Bahrain’s Economic Development Board. “Shortly, people will view the Gulf as one bloc,” he says. By early next year the GCC will have a joint power grid that will guarantee an adequate supply of power in member countries. Construction will begin later this year on the Qatar-Bahrain causeway, the largest marine causeway in the world. As infrastructure developments, including $100 billion of planned spending on railroads, draw the six GCC members closer together, monetary union remains elusive. Much remains to be done in terms of building GCC-wide institutions before the region can move closer to introducing a common currency, according to a report by Standard Chartered Bank, Dubai. “We do not see how the common currency can be introduced anytime soon, as the necessary supranational institutions are not yet in place,” it says. Standard Chartered Bank was the first bank to be established in Bahrain, and this year it is celebrating its 90th anniversary. Today Bahrain has 414 financial institutions, making it the largest financial center in the region. “The Central Bank of Bahrain has played a major role in shaping and maintaining Bahrain’s financial sector’s reputation,” says Jonathan Morris, CEO of Standard Chartered Bank Bahrain. The development of the offshore banking business, where Bahrain-based wholesale banks are supporting clients and projects across the northern Gulf, and in Saudi Arabia in particular, was also important in shaping Bahrain as a financial center, Morris says. 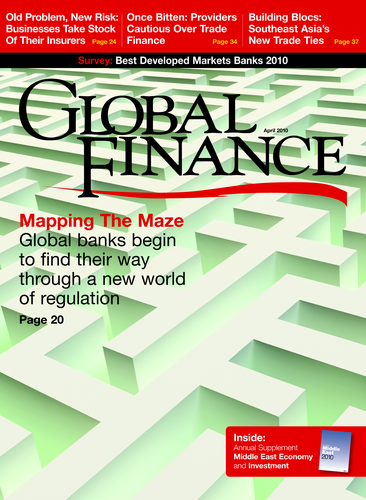 More recently, Bahrain has emerged as a center of Islamic finance, with 26 Islamic banks. Standard Chartered’s global Islamic brand, Saadiq, which means “truthful,” was introduced in Bahrain last year. 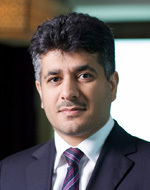 In February 2010 global consultant Deloitte selected Bahrain as the site for its Islamic Finance Knowledge Center, which will support the firm’s businesses in the Middle East. “Going forward, we see the financial sector in Bahrain developing more niche segment expertise, with a focus on asset management, insurance and, of course, Islamic finance,” Morris says. “Bahrain has a strong entrepreneurial spirit, and the economy’s success over the years has been built on an ability to adapt and change,” he says. Standard Chartered will focus on increased lending to small and medium-size enterprises in 2010. “The SME sector is one of the key contributors to the country’s economic growth and is an area with significant potential,” Morris says. Elsewhere in the northern Gulf, Kuwait recently announced plans to create a Capital Markets Authority to boost its financial sector and attract more foreign investment. In February Kuwait’s parliament, the National Assembly, passed a $107 billion, four-year development plan to further diversify the economy and stimulate private sector investment in infrastructure projects. The plan, which had been delayed for years by political bickering, could stimulate Kuwait’s non-oil private sector, including real estate and construction, as well as increase investment in its oil and gas industries. An upgrade of the country’s power grid,construction of a container port and a 16-mile causeway, and the further development of a new business hub, known as Silk City, are also envisioned. Meanwhile, the planned privatization of Kuwait Airways moved a step closer last month when the Kuwait Investment Authority was authorized to set up a holding company for the airline’s assets. The government plans to offer a 40% interest in the airline to the public by the end of 2010. 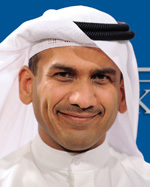 In 2010 more companies will seek advice on disposing of non-core assets and refocusing on core operations, Alhajeri says. Liquidity appears to be slowly returning, and companies needing financing will return to the public and private capital markets for both debt and equity issues, he says. "We also expect an increased need for non-conventional financing, such as mezzanine financing, convertible and exchangeable debt, and preferred stock offerings,” Alhajeri says. Markaz was the first company in the Middle East to introduce stock options, which began trading on the Kuwait Stock Exchange in 2005. The firm is now seeking KSE approval to introduce a shariah-compliant equivalent to call options, known as an arboun contract. The product, which would be issued only on the shares of shariah-compliant companies, would allow an investor to purchase shares at a predetermined price with a downpayment, known as an arboun. The buyer would have the right, but not the obligation, to pay the remaining purchase price and take delivery of the shares before the contract’s expiration. Kuwait’s central bank cut its discount rate a half point to 2.5% in February to encourage banks to lend and help fund development. The move does not indicate any deterioration in the economy, says Daniel Kaye, senior manager of economic research at National Bank of Kuwait, the country’s biggest lender. “Rates were already low, but the cut was designed to get credit going and to support the massive investment plan,” he says. The central bank was one of the first in the region to react to the global financial crisis by pumping funds into the banking system in the form of short-term deposits. The government also agreed to guarantee 50% of the amount of new loans extended to local firms. The Kuwait Investment Authority, the country’s sovereign wealth fund, helped to stabilize the market by buying local shares. “The government’s large role in the Kuwait economy has been a stabilizing factor,” Kaye says. The central bank has required a high level of disclosure about banks’ balance sheets, as well as stress testing by third-party consultants, he says. “Bank capitalization ratios are fine,” he adds. National Bank of Kuwait was relatively unaffected by the financial crisis. Its earnings rose 4% in 2009 to $925 million. Impairment charges were lowered last year, and the outlook for loan-loss provisions is positive, says Amir Hanna, NBK’s executive manager of investor relations. The bank’s asset quality has improved through the crisis, he says, and provisions are equivalent to 200% of non-performing loans. Kuwait’s GDP will grow by 3% in 2010, somewhere in the middle of the outlook for the six GCC economies, NBK forecasts. GDP growth rates in the region will vary widely this year, from near zero in the United Arab Emirates to more than 18% in Qatar, economists estimate. Regional growth is likely to accelerate in 2011, as credit restraints loosen and non-oil export markets improve. As economies diversify and reform, they are attracting a rising tide of foreign direct investment. There are ample opportunities for foreign investors in major Saudi Arabian projects in the oil and petrochemicals sectors, as well as in power, water and infrastructure, according to National Commercial Bank. Education, healthcare and manufacturing are other areas where foreign investment is encouraged. In 2008 Unctad ranked the kingdom number 14 in the world and number 1 in the Middle East for FDI inflows. In February Saudi Arabia announced plans for a world-class tourist center in the eastern coastal city of Al Oqair. The city is the site of an ancient fort and already receives a large number of visitors from within the kingdom and neighboring countries. Another tourist center is planned for Jeddah’s Obhur Corniche on the Red Sea, in addition to seven other resorts along the west coast of the Arabian Peninsula. Oil revenues are a vital source of finance for the economic transformations under way in the Gulf and underpin the public sector’s large infrastructure developments, according to economists at Samba Financial Group. Oil-price fluctuations also havea large influence on consumer and investor confidence, according to Samba. “Residual strains in some real estate and financial sectors will dampen domestic credit growth and private sector activity [in 2010], but this will be mitigated by a general recovery in the global economy, which will boost export demand and support a revival of capital inflows,” Samba says. Meanwhile, new markets are opening in Syria and Libya, while Iraq is emerging as a major oil exporter. 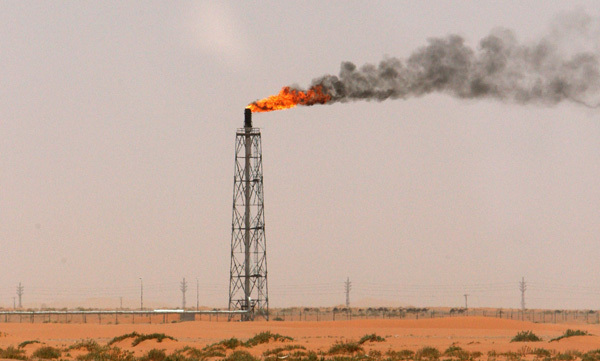 Iraq has the world’s second-largest proven oil reserves. The country received $4.4 billion in January from the export of nearly 60 million barrels of oil.